A wet-style lube for use in adverse conditions. Super-durable synthetic ingredients create a high viscosity lube that protects and lubricates parts for longer. Fortified with extreme pressure additives such as Molybdenum for high torque loads. 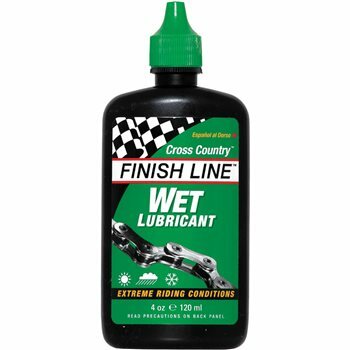 Includes water repelling polymers, making it Finish Line's longest lasting and most water resistant lubricant. Proven performance for long rides, muddy off-road conditions and long rainy commutes.